Musicians are often booked up years ahead so within days of the inaugural Festival last year Vicki Jones, with the help of fellow musician Wilma Smith, was working on the critical task of identifying the artists and the repertoire for 2018. Her choices would include music spanning more than 300 years from J S Bach to Gareth Farr and some 50 years separated the youngest musician from the oldest. The instruments also spanned the centuries; the most modern a 2015 cello, the oldest a 1610 viola. With the artists signed up, the work of promoting the Festival and attracting the audience was next. The rave reviews from 2017 made this task much easier. 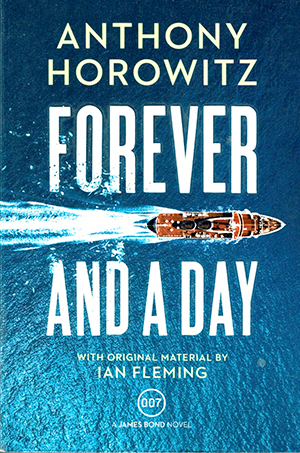 This year’s festival was completely sold out in advance, with 200 more seats sold than last year. As Brendan Smyth, who managed the marketing says, “We are well on our way to reaching our goal of becoming “the best little chamber music festival in New Zealand”. As the September deadline approached the pace picked up and the logistics became more complex: organising travel, accommodation, support and rehearsals for 6 artists from NZ and overseas; lighting, staging, seating, advertising, ticketing, finance, secretarial, community liaison; moving Cherry Van Kranen’s grand piano (a task for five specialist movers); organising artist visits to local schools and donating tickets for students to attend a concert; and coordinating with the generous funders and sponsors. You might think that there must be a big team behind such an enterprise. In fact a committee of six managed it all. Martin Lawrence, Katherine Lawrence, Brendan Smyth, Marion Townend, Winifred Bull and Ed Allen. The artists had a chemistry that resulted in a beautiful repetoire becoming even more glorious. It was “a dream team” according to violinist, Wilma Smith. The audience responded with matching enthusiasm. In their words, “absolutely ecstatic”, “a great event”, “spectacular”,“tremendous treat”, “a joy” and “playing of the highest order”. The Festival has already pencilled in dates for next year – 27-29 September. 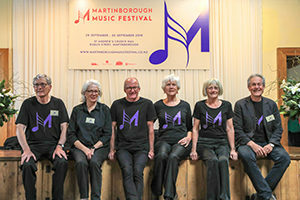 If you would like to know more, visit www.martinboroughmusicfestival.co.nz or email info@martinboroughmusicfestival.co.nz to get on the mailing list for updates. The Rapaki Walk summit is a beautiful place to celebrate achievement. 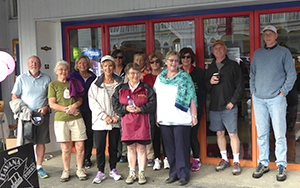 In late October, 11 walkers looked down over the village and Te Muna Road as they marked the first birthday of their Walking Group, part of the Martinborough Healthy Community Project. Every Friday morning for a year the group has met at Kitchener’s and decided where to walk this week. “ In Week One there were three of us,” explained unofficial leader Les Robert, “and we’ve built up gradually to around 10-14 weekly. We’d welcome more. “The idea is to encourage people to get or keep moving for their health. Over the year we’ve noticed that we go a bit further each time and while it’s a decent work-out everyone can go at their own pace. “Experts say walkers should be able to talk while they walk, and our group certainly can!” he laughed. Walking is both easy and cheap, and Martinborough’s flat roads and vineyard views make it appealing. The group enjoys seasonal changes, most obviously in the vineyards. Importantly, participants meet new people. Some have lived in Martinborough for many years, and some only a few weeks. Convivial coffee afterwards builds friendships and a strong community. The Martinborough Healthy Community Project was initiated by the Martinborough Health Centre. Other major components are the Community Garden in Oxford Street, where volunteers tend mostly vegetable gardens, Wednesday and Sunday mornings (summer hours). Produce goes to the Community Larder in the Medical Centre. Many residents and weekenders like being able to donate excess product from local gardens and reduce waste. Anyone can pop in and pick up something fresh, healthy and seasonal for their lunch or dinner, says Practice Manager Pam Shackleton. The third leg of the community project is a 7-week Healthy Lifestyle programme, a self-management course for people with long-term conditions. After a well-attended and successful course earlier this year, a second course started in October with another planned for early 2019. Anyone interested should contact Kiwa at the Medical Centre. There is nothing quite so magical as Christmas, so two years ago Fiona Couchman launched the Christmas Magic in Martinborough Show to create awareness and gifts for children in need in our local community. While she took a break last year to do some gifting of her own donating her kidney to a friend in need and spent theChristmas recovering but she is back this year with another exciting show. Fiona has a musical background and performed in MADCAPS for the last few years as a way of immersing herself into the community. With vast experience in event management, she felt an opportunity existed to capitalise on the local Chridtmas carols and create a professional show that would showcase some of the local talent with a great combination of Christmas Carols, Pop and Rock songs that would have people dancing in the square or tapping their toes as they enjoy an evening of entertainment with their families. And because Christmas is truly magical for the children, the event starts with a one hour Christmas show brought to you by Enchanted Entertainment. This professional troupe will entertain with characters like princess Elsa, Ariel, Moana and more. In addition to a full Disney show there will be stations for princesses and super heroes to spend time with their favourite star getting pampered with face painting, magical hair dust and more. But the winners of this great event will be the children and underprivileged families of Martinborough. Entry into the event is by way of a Christmas present for a child. We are asking people who are attending to bring a child’s gift named boy/girl and age group. Children are free to attend and for those who wander into the square and want to enjoy the show, Santa’s helpers will be at hand with donation buckets to raise money for the new children’s playground. On December 8th the Christmas Magic in Martinborough will kick off with the popular xmas parade starting at 5.00pm and entertainment will continue till 10.00pm. After the Enchanted Entertainment children’s show, there will be the Business House carols challenge, Martinborough MADCAPS carols and the two-hour Christmas show. To perform a show like this doesn’t come cheap, providing a professional staging, sound and lighting set, so local businesses have got behind this initiative with tremendous support from the retailers and hospitality. We want to thank our Gold sponsors Martinborough Community Board who are right behind the cause and our Silver Sponsor P and K who are sponsoring the Children’s show Enchanted Entertainment. Additional Silver Sponsor Cotter & Stevens are providing the magical Christmas Tree that will be lighting up the square. Our Bronze sponsors Peppers Parehua, Neighbourhood café and Cool Change and all many retailers and hospitality that have made this event possible. You all epitomise the spirit of Christmas and the very special community that is Martinborough. Be sure to Pack and Picnic and head down to the square for a jam – packed evening of Christmas Magic.